At the meeting with AZAL President Jahangir Asgarov, the issues of holding the Global ATM Summit in Baku were discussed. Also, the parties discussed the prospects for cooperation between the Azeraeronavigation Air Traffic Control Center (AZANS) and CANSO, including the issues of joining of AZANS to the CANSO Europe Executive Committee, as well as Azerbaijani specialists’ participation in the working groups of the organization. 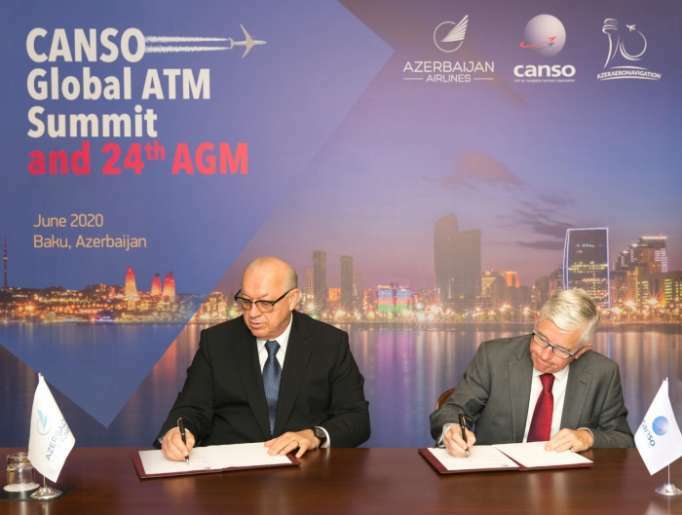 It should be noted that the candidacy of Baku to host CANSO AGM-2020 was unanimously chosen at a meeting of the Executive Committee (consists of the leaders of the FAA (US), air navigation systems of Canada, Germany, the Czech Republic, Argentina, civil aviation administrations of Singapore, Tanzania, the United Kingdom and Saudi Arabia) in Bangkok. Over 70 countries voted for the candidacy of Baku during the CANSO general meeting. Annually over 90,000 transit flights are carried out over the territory of the Republic of Azerbaijan. Favorable geographical location of Azerbaijan also allowed to open the Airspace Supervision & Efficiency Center (ASEC), the only one in the former Soviet Union, in the territory of the country.